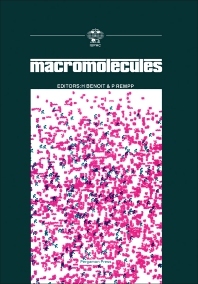 Macromolecules covers the papers presented in the 27th International Symposium on Macromolecules that tackles themes that represent the trend of development in the field of macromolecular science. The book presents papers from qualified lecturers who discuss not only their work, but also the state of knowledge, developments, and applications in the field in which they are involved. The text covers topics ranging from polymer chemistry, polymer physics, to polymer technology that illustrate the diversity of the interest of researchers involved in polymer science and show the pluridisciplinarity nature of the field. The text will be of great interest to researchers and professionals who are concerned with the advances in macromolecular science.